This takes the year’s return to just +2.5%, but at least we’re positive. March’s median returns have been horrible at -1.3%, and April and May too have seen lousy returns in the recent past. The Sensex has fallen a little more in this year. 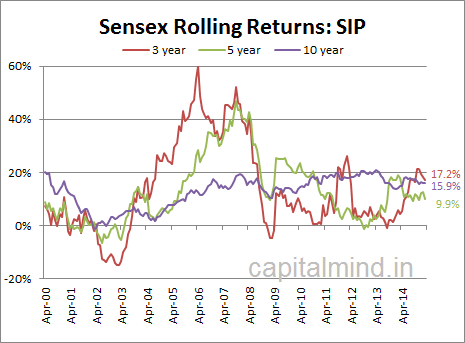 And then, here’s the Sensex Systematic Investment Plan (SIP) returns on the Sensex. Five year SIPs have fallen to single digits but 3 year and 10 year returns remain strong! Add to this another 2% through dividends. 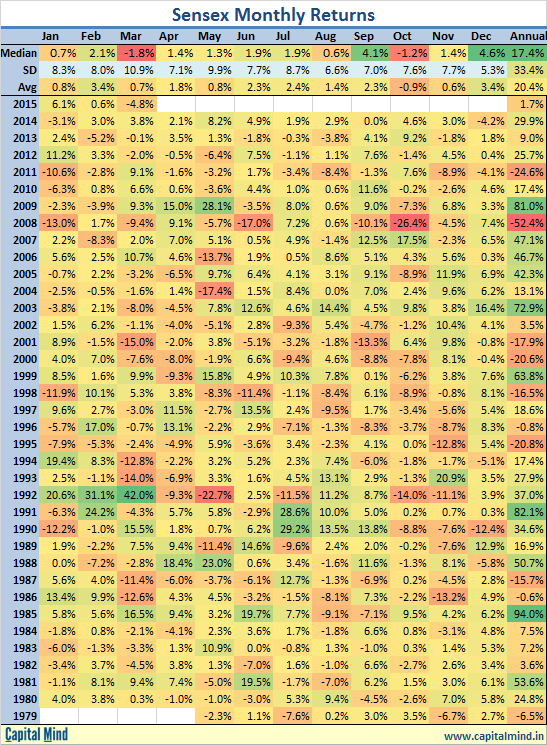 The takeaway really is: 10 year investment returns haven’t actually fallen more than 15% since 2010, but remember that 2005 is when markets started to lift off. The Sensex in March 2005 was at 6,500 and in March 2006, it had jumped to 11,300. To maintain these levels of 10 year returns at 15%, we will have to see the Sensex go to levels of 46,000 by March next year which needs it to go up by 67%; either that happens, or 10 year returns moderate substantially. 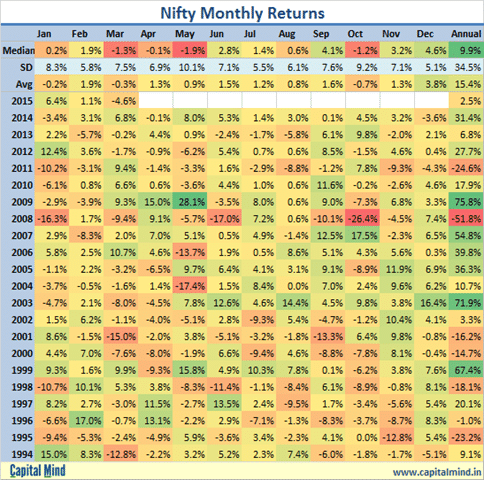 At 30,000 in March 2016, Sensex 10 year returns fall to about 10%. Where do you think the Sensex will be at the end of this financial year?